the lifejacket is REQUIRED for any rental ! 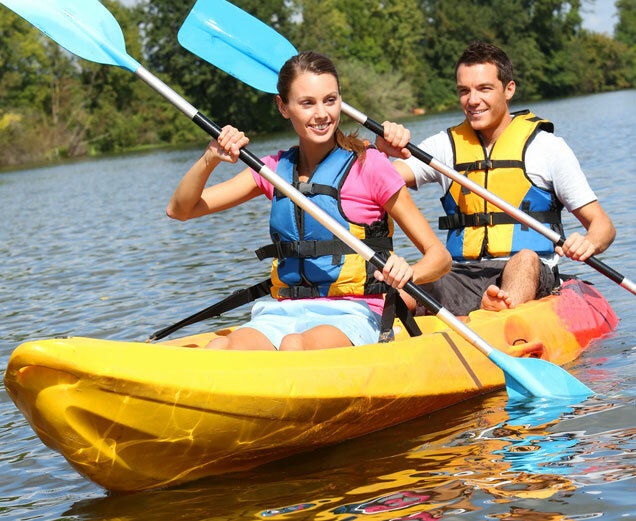 Life Jacket + Paddle + Water box + Leash Included for CHILDREN and ADULTS. Why RENT KAYAKS or PADDLES BOARDS at ROUL ‘ma POULE ? It is possible to RENT single-sea kayaks, two-seater kayaks and Paddles Boards at ROUL ‘ma POULE: for adults, alone, with friends or family. The KAYAKS are of the brand: “ROTOMOD” and “SROKA” for Paddles Board. The proposed Equipment is last generation and VERY GOOD QUALITY ! These KAYAKS / PADDLES are planned for RENT in order to sail easily on Lake Annecy. They are made in France, both light, manageable and comfortable. Lifejackets and paddles INCLUDED for CHILDREN, ADULTS! Our daily ! Offer you SERVICES and QUALITY RENTAL EQUIPMENT !!! How long can one rent KAYAKS / PADDLES at ROUL ‘ma POULE ? At ROUL ‘my POULE Annecy le Vieux man; We offer all the possible formulas: from the Rental 1 hour, 2 hours, +2 to 4:00, or + 4:00 to Day / Max Closing Time of the Store. Are there any DOCUMENTS to RENT Equipment at ROUL ‘ma POULE ? Yes, you have to be able to justify your identity, be a major to rent equipment. You must bring either: A piece of Identity, or a Driving License, or a Passport, or a Gray Card. It will also Fill a Rental Agreement and Sign and be able to leave a deposit if she asked you! ??? either in CB (PLB +), ESP or CHECK + ID. The amount of the deposit may vary according to the equipment rented !!! Where should we bring the material back? in the same place we took it ? Yes, it is imperative to bring the equipment of RENTAL KAYAK / or RENTAL PADDLE BOARD at the same store ROUL ‘my POULE of Annecy le Vieux, where has been rented this same material. What are the Conditions of RENT and Insurance Obligations ? Anyone wishing to RENT equipment at ROUL ‘ma POULE, has the obligation to have a Personal Liability Insurance. The customer agrees via the rental agreement to Restore the RENTED Equipment, in the same state that it has taken. Any Expenses caused by damage to equipment, damage or theft will be borne by the Customer responsible for the rented equipment. Repairs made outside the ROUL ‘ma POULE stores will not be refundable, unless prior agreement of the renter. In case of accident or theft; The customer has the obligation to inform ROUL ‘my POULE within 24 hours. ROUL ‘ma POULE also has professional insurance in case of equipment failure. Qualified Professionals (Technicians) maintain all the equipment. Thank you for your understanding, Have a nice Session on Lake Annecy and Happy Holidays! the lifejacket is REQUIRED for any rental! – To sublet the Equipment. – Extend the rental period without prior approval of the store.